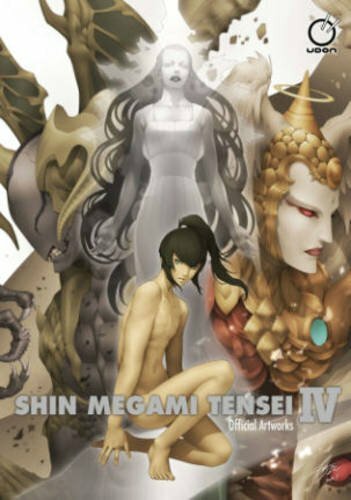 This is the English translated edition of the original Japanese book 真・女神転生IV 公式設定画集 that was published in 2013. This companion is a 208-page paperback and features the concept art and illustrations for the worlds, characters, equipment and demons. The book's quite insightful as it provides quite a substantial amount of commentary for all the artworks shown. For the worlds, there are Mikado, Naraku, Tokyo and other worlds like The Expanse, Hades, Barrier Space, Blasted World, Infernal Tokyo, Purgatorium and Lucifer Palace. The characters have profile and additional commentary by the designers. The style is very anime-like with solid colouring and single tone shadows. I like the line art and also how they look when coloured. Colours really add a whole new dimension to the characters compared to the line art. Demon designs are by Tamotsu Shinohara, Yasushui Nirasawa, Kyouma Aki, Yoshihiro Nishimura and Keita Amemiya. The designs actually remind me a bit of the card game art from Rage of Bahamut and Lord of Vermilion. The look of the demons are very out of the world. Nice. Last few pages of the book contain the interview with art director Eiji Ishida and character designer Masayuki Doi, splash page illustrations and sequential art from the opening scene. It's a nice book with more insight into the making and design of the game. Recommended to the fans.